Dentsu leads the pack in APAC with an acquisition value of $146m (£111.59m) and a total of six deals, as traditional players dominate, bucking a global surge of unconventional acquirers. 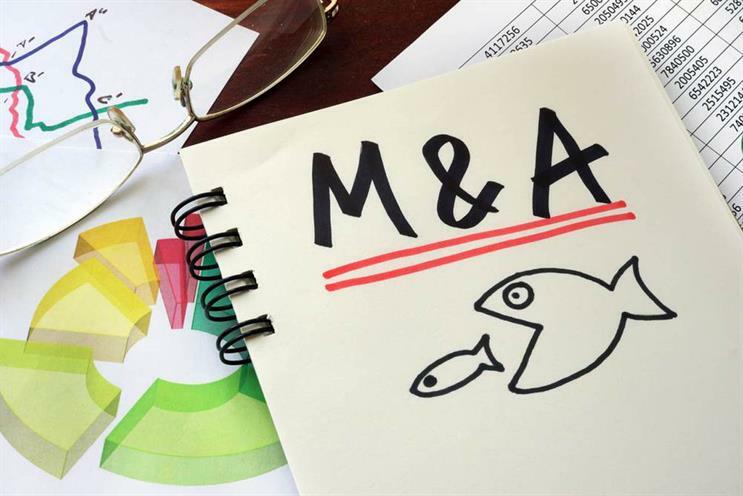 Mergers and acquisition activity across the marketing and advertising space appears to be in steep decline from the same period last year according to a global deals report released by R3. The significant drop is attributed to the slowdown in China. It saw a 78% decrease in deal value and 45% decrease in total number of deals compared to H1 2016 ($1,601m vs. $346m; and 22 deals vs. 12 deals). However, China is still third for acquisitions by country behind US and UK. In total, R3 reported a total of 184 deals worth $4.1bn in the advertising and marketing space globally for H1 2017. That's a 39% decrease in deal value and 10 percent decrease in total number of deals closed. APAC, meanwhile, had a sharp decline from $2,933m in H1 2016 to $782m in H1 2017. Although the industry saw a new wave of acquisition activity this year with unconventional players such as Domino's Pizza taking over a digital agency, Asia-Pacific distanced itself from the global trend with traditional agency holding companies still dominating the game in the region. Dentsu and Shenzhen Media Group were the top two firms respectively on the M&A league rankings by value for the first half of 2017. Dentsu also led the global M&A rankings with a total of 15 deals closed at a value of $526m. Compared to WPP which made more digital-centric takeovers, Dentsu's acquisitions were more evenly distributed across digital, media and creative. Meanwhile, Accenture, which made several high-profile acquisitions this year including Australian creative agency The Monkeys and its design firm Maud, came at sixth in the region and second globally.